Ever since the advent of “The Biggest Loser” people have been more interested in losing weight and keeping fit. Indeed it is not a phenomena confirmed to Australia, it is something that can be found in America with a show of the same name and even in places like Croatia where they call the show “Zivot na vagu” which lousy translate to “life on the scale”. No matter what they call it it is about people working out and dieting to try and lose weight and look good. When people watch such shows they inevitably try and ind a place to work out. Some will go to their local gym or join some sporting activity like boxing or karate. Other with choose to simply train at home. For those who choose to train at home they will set up a home gym so that they have place to train. When they do sit up a place at home to train they will need to think about getting some jigsaw mats. Jigsaw Mats are essential when setting up a training area for yourself at home. Jigsaw mats are necessary because they not only give you a defined area but they offer a safe place to train on a mat with anti-fatigue mat qualities. Jigsaw mats are available in a number of colour options which are designer to match your training area. Your jigsaw mat can also come in different thicknesses so that they can be tailored to the intensity of your training regime. Jigsaw mats have been used for gym training and personal training for years now. Indeed they are often referred to as gym mats as they are primary used for professional gyms and home gyms alike. Gym mats are made from EVA which is a type of plastic which has absorbing quality similar to rubber or compressed foam. EVA has perfect anti-fatigue qualities which are ideal for a training environment. 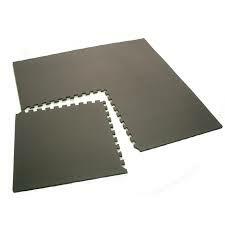 So next time you are looking at setting up a home gym or professional gym look no further then jigsaw mats. They are the ideal training mat for any training area.